"The cause of priestly laxity is not paying attention to the Mass!" Christ Jesus, You Instituted the Holy Sacrifice of the Mass at the Last Supper which brings the grace You gave to us through the Blood which poured forth from Your veins. Deliver us now Lord from these abuses which are attacking Your Mass, and bring to conversion those lost souls who do not know what they do. 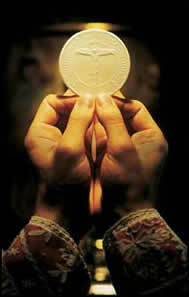 Lord grant us true faith, reverence, love, and fidelity towards You. I especially pray for Your priest [ name ], who is the Shepard to many souls and is entrusted to reverently celebrate the Holy Mass. Sacred Heart of Jesus ~ Have Mercy on us! Immaculate Heart of Mary ~ Pray for us! Saint Peter ~ Pray for us! Saint Pius X ~ Pray for us! 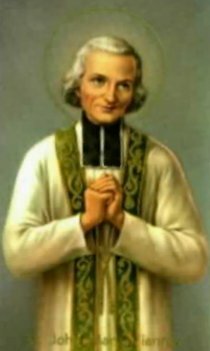 Saint John Vianney ~ Pray for us!